Two winding biased Transformer Differential Relays form the range of Transformer Protection IED.This complete range of Relays is communicable on various open protocols like IEC 60870-5-103, MODBUS, DNP 3.0, IEC 61850 etc. 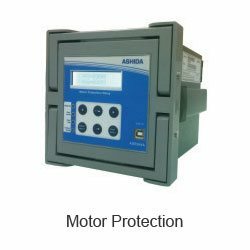 Ashida offers various solutions for protection of electric motors. The series of relays is available in Drawout & Non Drawout variants to suit the requirements of various clients. 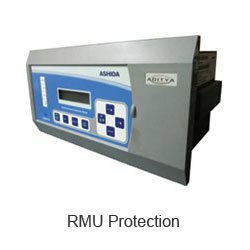 RMU protection relays are specially designed relays to operate in the absence of auxiliary power. These relays are rather dual powered i.e they can operate on Auxiliary power or can be CT powered in case of absence of power. 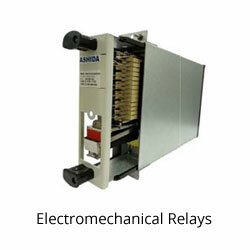 Ashida has wide variety of versions of self powered relays to suit various requirements of the clients in India & abroad. 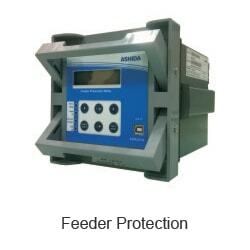 The protection for capacitor banks includes unbalance protection to provide alarm/ trip & overcurrent elements for bank fault protections. Electromechanical Relays in both Drawout casing as well as Non Drawout casing are available in the range of Auxiliary relays. These include AC Supervision relays, DC supervision relays, Trip Circuit Supervision Relays, Auxiliary Relays, Change over Relays & Master Trip Relay. 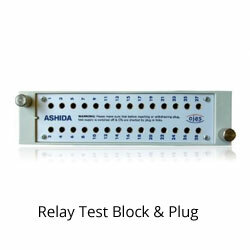 Alongwith Numerical Relays & associated control & Relay Panels, we at Ashida have also started manufacturing of Secondary injection Test Block & test Plugs. The test block provides easy access for testing of power system protection scheme within the CRP panel without disturbing the existing wiring. 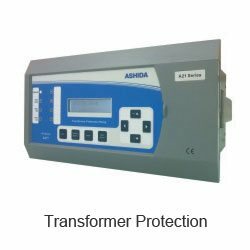 Ashida has manufactured & supplied Control & Relay Panels to most utilities in India. These are specially engineered solutions to suit the requirements of the clients. The CRPs are installed in substation environment right from 11kV to 220 kV voltage levels. Ashida takes pride in indigenous Research & Development Team which continuously bring enhancements to the software adding better value to the customers. 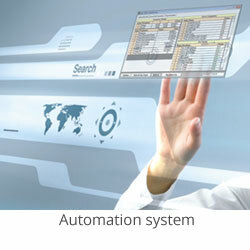 ASHIDA SCADA system helps in monitoring power system efficiently and effectively. We have developed very versatile SCADA system software which can communicate with all type of IEDs viz. Communicable Relays, RTUs, Meters etc. having different protocols such as IEC101, IEC103, IEC104, DNP3, MODBUS, IEC61850 etc.